Visiting Barcelona on a budget? Great news! You can do it in style and comfort with a seriously small amount of cash. 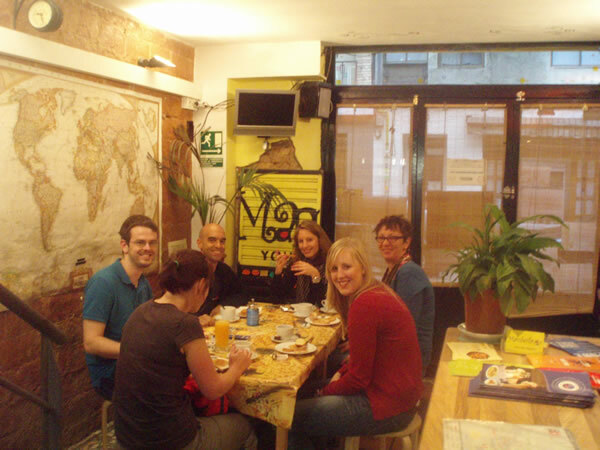 Here are my personal recommendations on the best hostels in Barcelona. 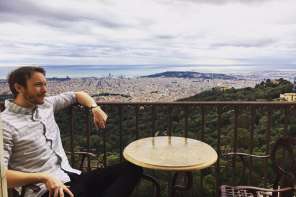 Based on price, location, cleanliness and FUN, here are the best Barcelona hostels that I would personally stay at and recommend my friends and family. They are all professionally run with excellent staff that work hard to create a fun experience whether you’re travelling solo, as a couple or as a group. 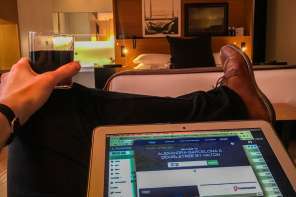 They’re also perfectly situated for exploring Barcelona’s famous nightlife, beaches and cultural attractions. Vamos! With its unbeatable location in the centre of the ancient Plaça Reial square (which is literally just off Las Ramblas in the city centre and packed with clubs, bars, restaurants, and cafes), Kabul is the ultimate place to stay in Barcelona for wild nights out, shopping and exploring the cultural attractions in the Gotico, Born and Raval neighbourhoods. It’s within walking distance to pretty much everything in Barcelona, including the beautiful city beaches. Want a quiet cultural trip in Barcelona? This is not the place. Colourful and brimming with beautiful people, not to mention its prime location right by the beach in the ever hip Poblenou neighbourhood, this is the place to indulge in Barcelona’s booming beach life. Spend your days surfing, skating or cycling along the seafront, or simply kick back with new friends on the hostel’s rooftop terrace with a few cold ones and the Mediterranean breeze in your hair. It’s also within easy reach of the city centre and all of the main sites and attractions. Probably where I’d most likely stay if I were visiting as a twenty-something traveller. Ideally located in the trendy Eixample barrio, just a stone’s throw away from the elegant Passieg de Gràcia (and the metro station), Sant Jordi Hostel Rock Palace is the perfect place to stay if you’re interested in experiencing Barcelona’s stunning architecture (Gaudi buildings just around the corner), gastronomy and shopping opportunities, as well as being in a prime location to indulge in the local nightlife. There’s also a rooftop terrace, outdoor pool, fully-equipped kitchen and and a cosy lounge. 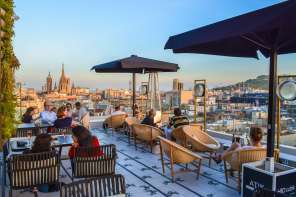 Placa Catalunya, La Rambla and all of the rest of city centre is all within a short stroll, and the iconic Sagrada Familia and the beaches of Barceloneta are all within walking distance. This is not a party hostel, this is NOT a party hostel – need I say more? 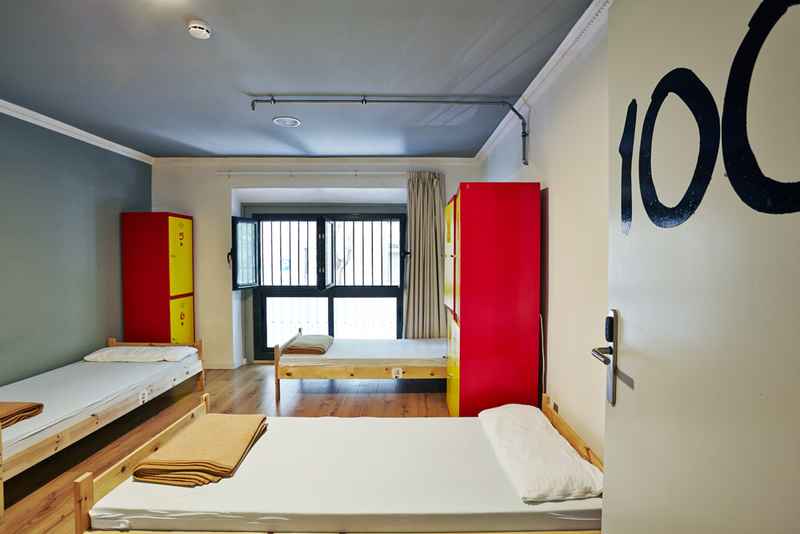 Friendly staff, immaculately clean dorm rooms and spacious living spaces, BCN Central Garden is perfect for groups, solo travellers and even families looking for a Barcelona hostel where they can truly relax at whilst seeing the best of Barcelona city centre. It’s situated in a quiet part of town, yet within walking distance to all the main sights and attractions. With its chilled vibes and excellent facilities, not to mention the central location, this is what good boutique hostels are all about. The staff are known for being really friendly and the place is kept immaculately well. They run free cooking lessons and movie nights, as well as social events and nightlife outings. If you want to meet new people, you’ll find it easy here, although there’s no pressure to get involved. They also offer bike and scooter rentals, which makes exploring the city even more fun, and there’s also FREE breakfast and wifi! This is the real deal. Touted as the most modern hostel in Barcelona, this funky technology-driven home-from-home is in prime location for seeing Barcelona’s sights and attractions and is within walking distance of Gaudi’s iconic Sagrada Familia. 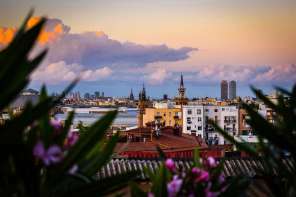 There’s a particularly beautiful rooftop terrace where you can meet other travellers and enjoy a drink with views over the city’s terracotta skyline, as well as fully-equipped common rooms and kitchens. And great news for girls – the “Pink Rooms” are girls-only and feature vanity mirrors, hair straighteners, hairdryers and extra storage space. Seriously cool. If you’re genuinely interested in getting under the skin of Barcelona and want to delve into its rich cultural heritage, this is the hostel for you. 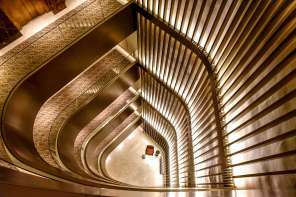 The building itself is a piece of living history and the team are experts on the the city, ready and willing to show you around the best that Barcelona has to offer. 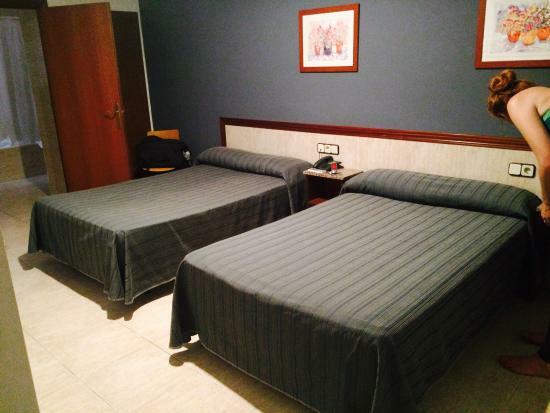 It is centrally located and offers all the usual freebies, such as free wifi and bedsheets. 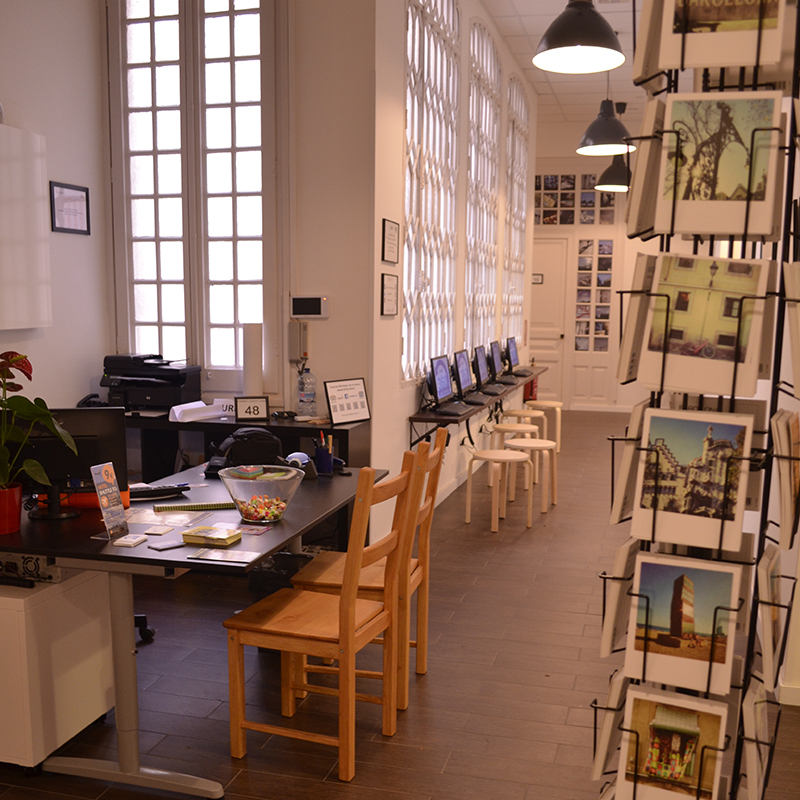 Famed for their friendly staff and lively communal areas, Hostel One Sants is one of the best hostels in Barcelona for making new friends, especially if you’re a solo traveller. 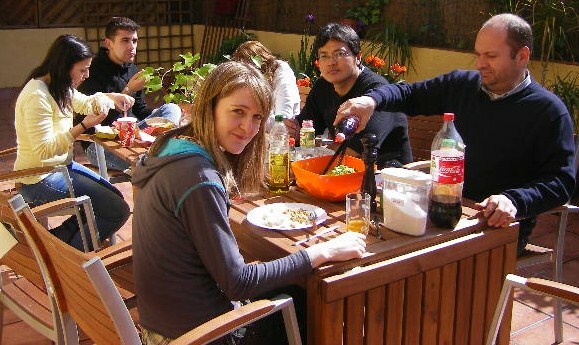 They have nightly social events with cocktails and barbecues on the terrace, as well as FREE evening meals. 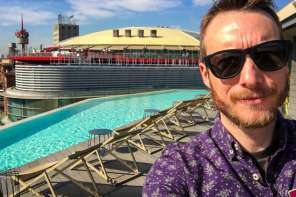 They’ll even take you out to Barcelona’s best bars and clubs! 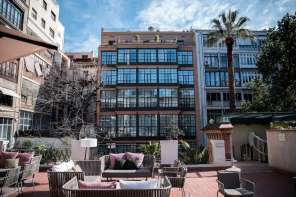 It’s within a short stroll away from the beautiful Montjuic (Olympic) area, where the magic fountain lights up during the summer, as well as the tapas paradise of the Poble Sec barrio. It’s also just a short metro ride to all of the iconic Gaudi buildings, beaches, galleries and museums. Spot on. A beautiful living space with Barcelona’s iconic exposed stone walls contrasted with bold blocks of colour and modern detailing. 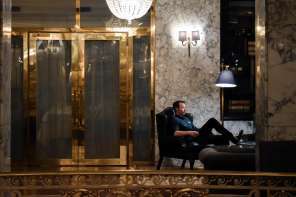 This is a classy hostel where, although there’s plenty of socialising, noise and late night debauchery is curbed, making it a good balance for those who want the best of both worlds. 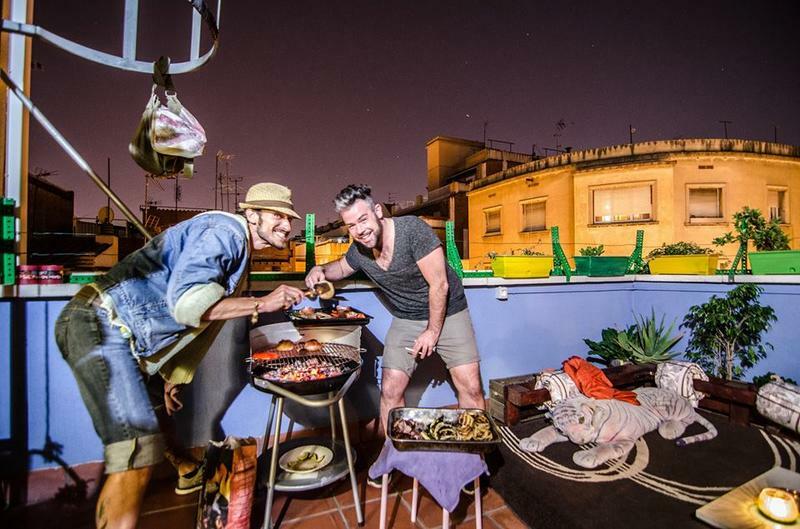 It’s also ideally located for exploring the tapas bars and hipster hangout haunts in the Poble Sec and San Antoni neighbourhoods, making it the ultimate basecamp for craft beer connoisseurs and gastro travellers. There’s free wifi and breakfast too. What’s not to love? This chic and charming hostel is ideally located literally on La Rambla, Barcelona’s most famous street, and is in stumbling distance of the city’s most iconic sights and attractions. It offers outstanding value for money and you’ll struggle to find another hostel that’s as centrally located in the centre of Barcelona. You can book single, double or family rooms with private bathrooms. It’s also FREE for children to stay, making it the perfect hostel for families staying in Barcelona. Equity Point Gothic ~ Serious party hostel in the centre of Barcelona. Very cheap, very fun. 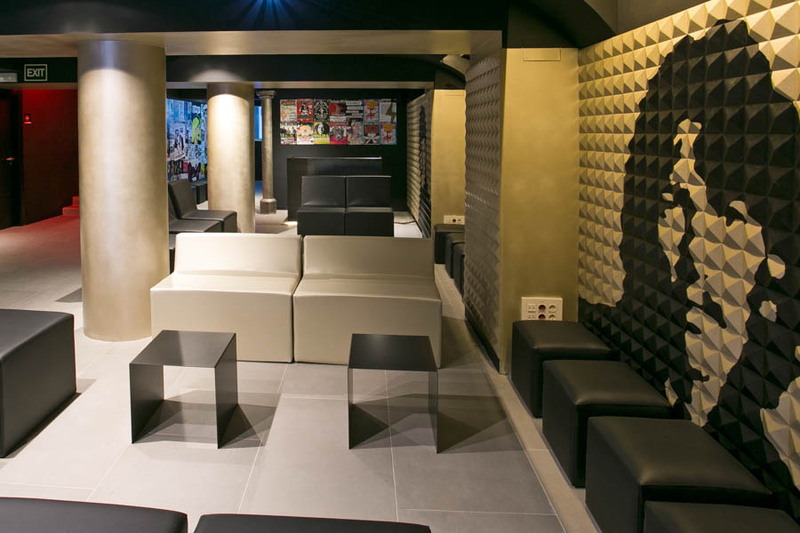 Sant Jordi Alberg ~ Nightly pub crawls with free entry to Barcelona’s best night clubs. Epic. Twenty Tu ~ Ultra modern, eco-friendly, stunning rooftop terrace, walkable to best party spots. Unmissable. Equity Point Sea ~ Closest hostel to Barceloneta beach. Free breakfast. The dream. The Hostel Box Port ~ Stumbling distance to the water. 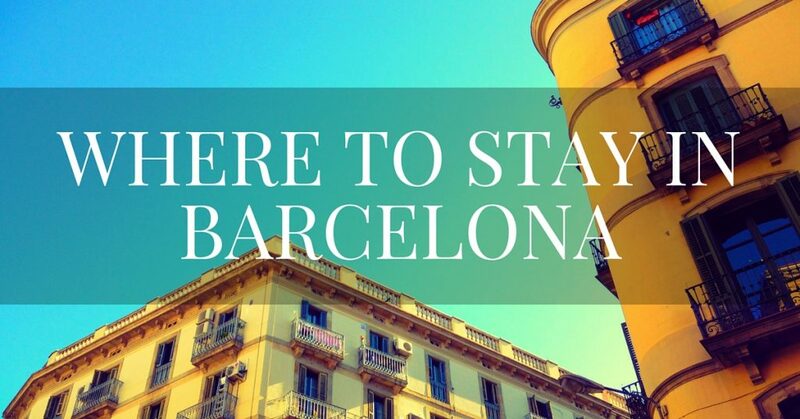 Follow me on Facebook and Twitter for more essential inside guides to Barcelona! Oh yeah! #7 where I stayed before!! It’s truly a great hostel with a lot of activities. Great post there. Ben.